Not that a simple project and a trip to Lowe's (or two or three) hasn't ever turned into a whole day thing before, but today it really should've been a quick trip to Lowe's. Well, the Lowe's part in fact was pretty quick other than Dad taking awhile to decide if he should buy more than one toilet seat or check his toilet size first (he only got one and the extra decision time meant we were still at Lowe's when Mom reminded us to get potting soil). It was the trip home that took several hours. As we turned onto Fort Lincoln Drive, which Lowe's is on, Dad asked if there really was a Fort Lincoln. My response was it was probably one of the many forts that surrounded D.C. during the Civil War. Of course, we then had to look it up and confirmed it not only really was one of those 68 forts, but you could visit the remaining earthworks at Fort Lincoln Cemetery. Naturally, we had to go check it out. Then it turns out there is much more to check out then the earthworks. 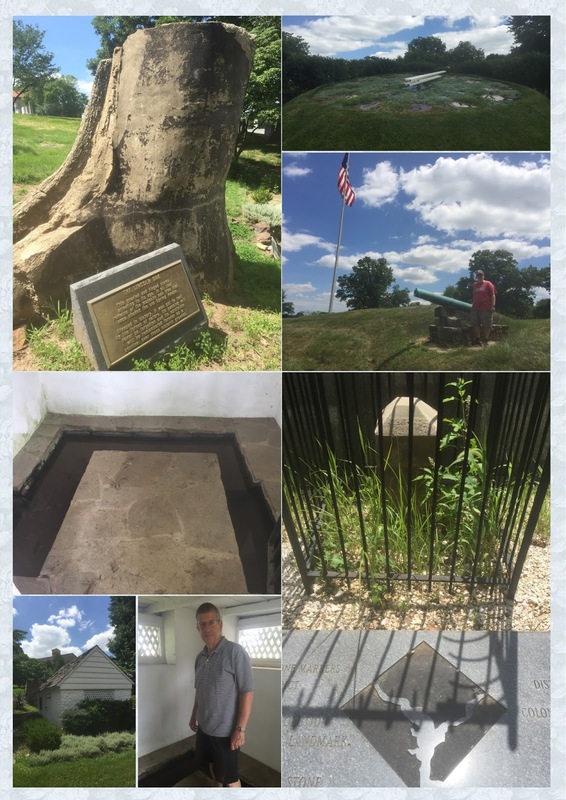 There is also a floral clock, a Spring House built in 1683, the Lincoln Oak where Lincoln met with generals, a Federal Boundary Stone, and much more. Over an hour later we were finally on our way home, but then the 295 had a lot of traffic so Dad decided to get off and take another route home. This resulted in us going right by a used bookstore I had been wanting to check out. Turned out to be a good one even though neither of the two American Guide books were 1940s editions (one was from 1937 and the other was a 1960s update). Thus, five hours after we left on a quick shopping trip we still weren't home, but we were grocery shopping, which was the other errand we were supposed to be doing on the outing.